Neverwinter Nights: Enhanced Edition launches on Steam March 27. Siege of Dragonspear is available on Google Play and the App Store. Celebration of its launch continues with a big Google Play and App Store sale on Baldur's Gate II: Enhanced Edition! Planescape: Torment: Enhanced Edition is now out on the Twitch store! This month’s Dragon+ issue includes a story about Rancor, the sword of Dorn Il-Khan. Back in the day, Phil named the sword when Dave Gross came up with Dorn’s story. Dragon+ recently interviewed Phil. 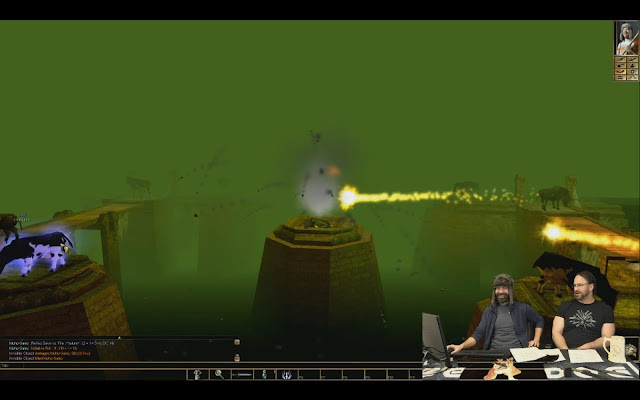 Check out the video on YouTube where Phil speaks about the development of the game and plays Siege of Dragonspear. We’re still on the hunt for strong C++ programmers. Check out our job listings! Neverwinter Nights: Enhanced Edition Trello boards keep evolving! 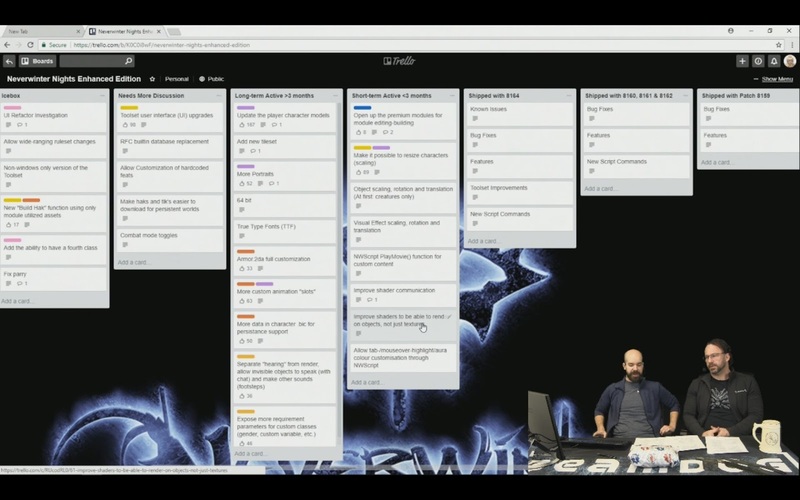 A few changes have happened on the Roadmap Trello board this week. The True Type Fonts (TTF) card is moved to the Long-term Active >3 months category. The card for Opening up the premium modules for module editing-building is moved from the Input board to the Short-term Active <3 months category. Requests to Add the ability to have a fourth class and to Fix parry are put into the Icebox. A new card - Toolset user interface (UI) upgrades - is brought to the Needs More Discussion category from the Input board. We need your specific feedback on the Toolset UI - please, share it in this thread. Everything that used to work in the original game should work in Neverwinter Nights: Enhanced Edition. If something doesn’t work - let us know, and we will fix those bugs. If you have suggestions, share them on the forum - that way they have a chance to appear on the Input Trello board. Phil cherishes the beatings he is dealt in the “Phills fill” module by Mr Damage. 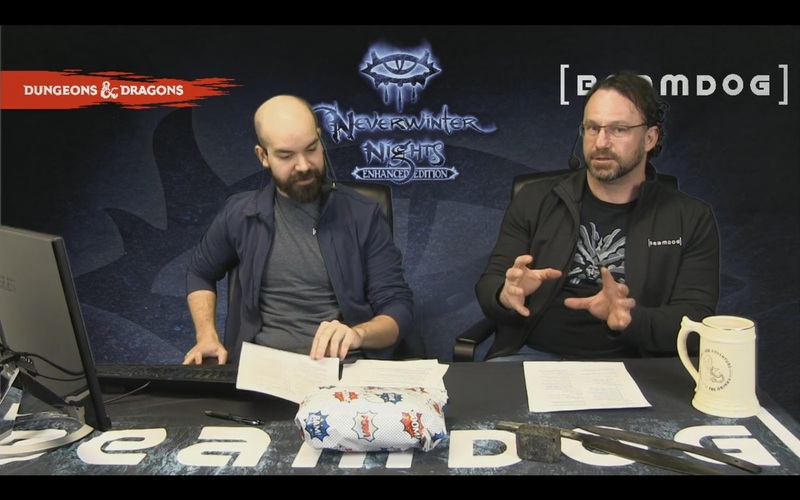 The team continues to work on the 2.5 patch updates for Baldur’s Gate: Enhanced Edition and Baldur’s Gate II: Enhanced Edition. Currently, localizations are being added to these updates. An option to turn on and off a “fast mode” in Infinity Engine games is something we can look into after our work on the 2.5 patch is over. There’s no guarantee it can be implemented, however, as it could break Multiplayer.